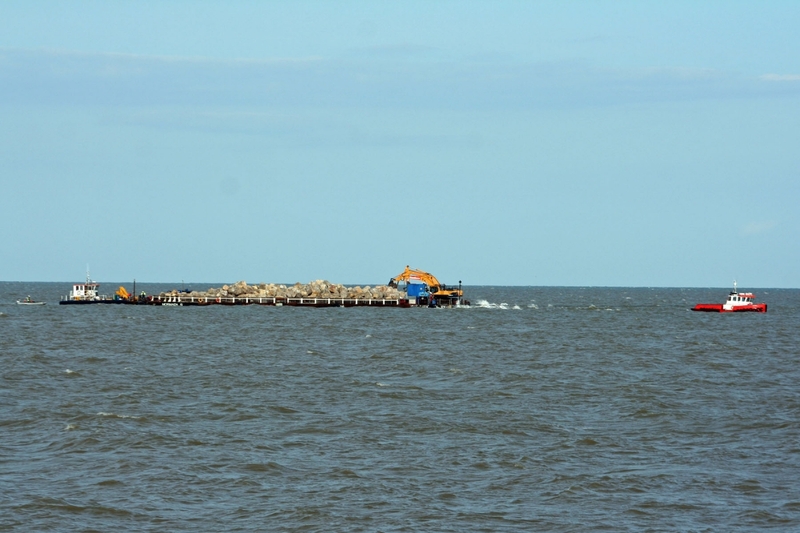 We welcome pictures of all aspects of our Estuary If you have any pictures which you would like us to display, please email them to info@aldeandore.org. 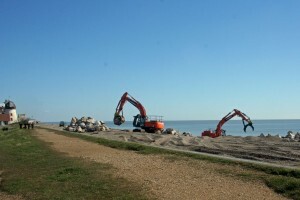 Slaughden beach south of the Martello Tower from June 2017 to September 2018 showing the work done by the Environment Agency to keep it in good shape. 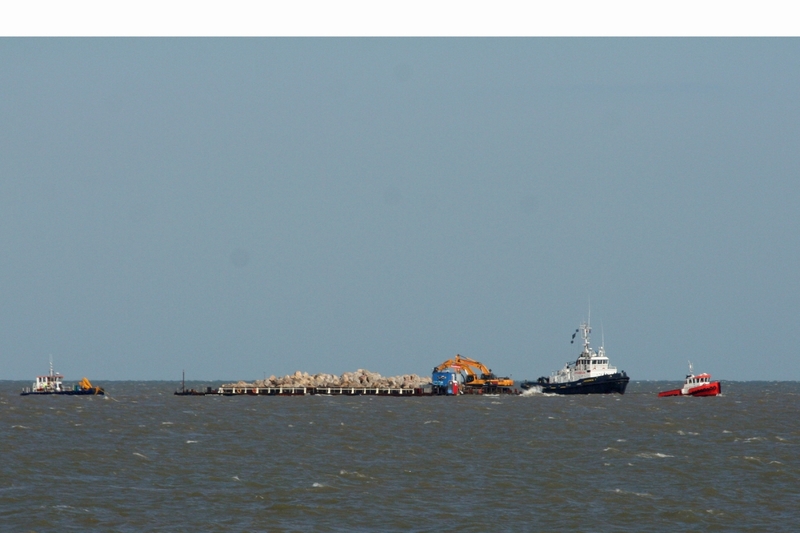 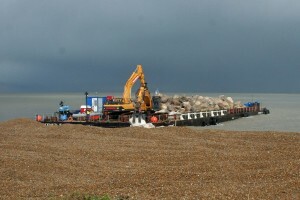 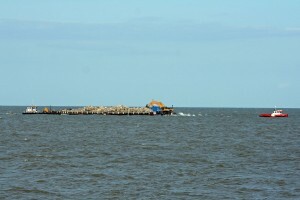 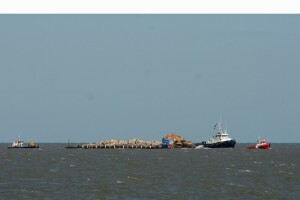 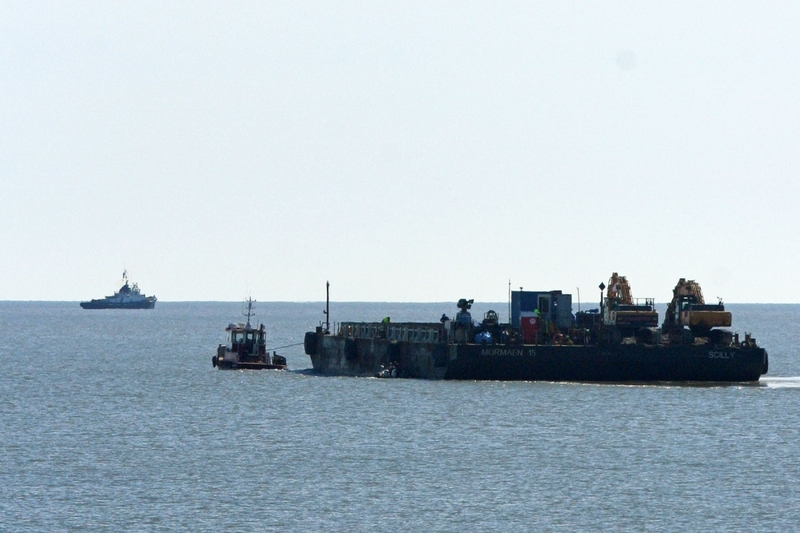 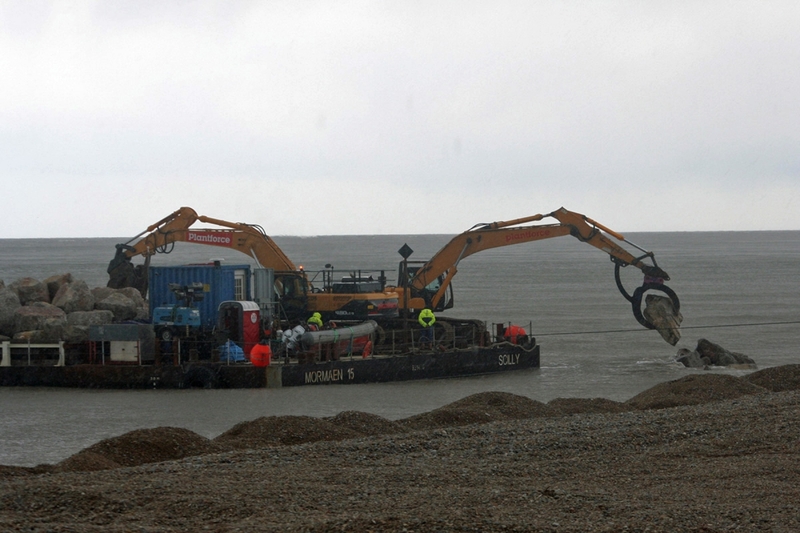 Barge loads of rocks being unloaded at Slaughden, April and May 2016. 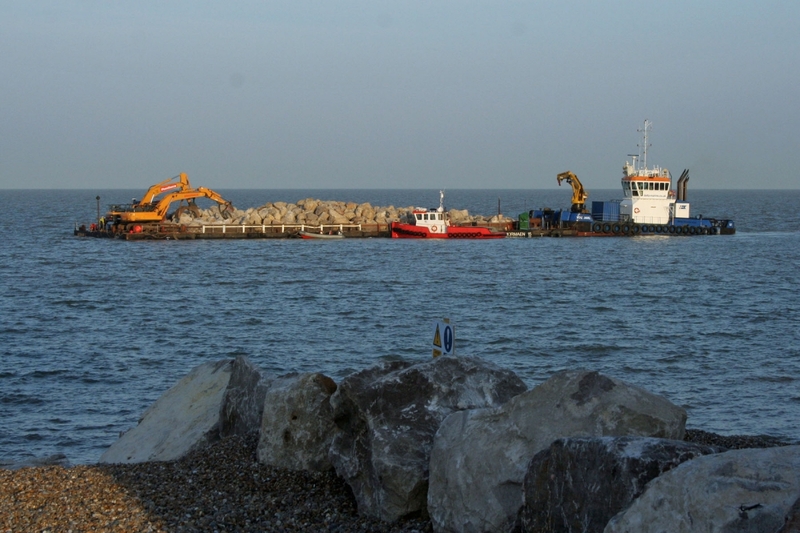 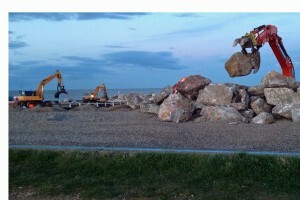 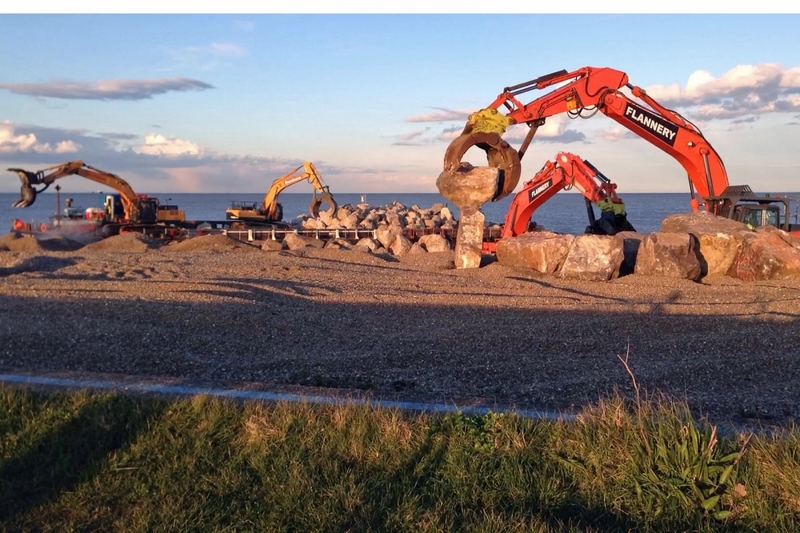 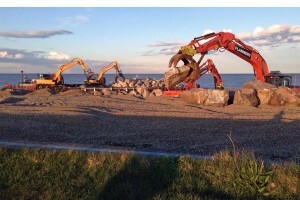 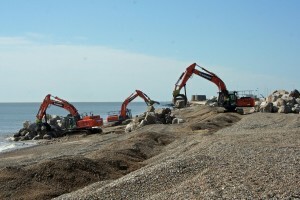 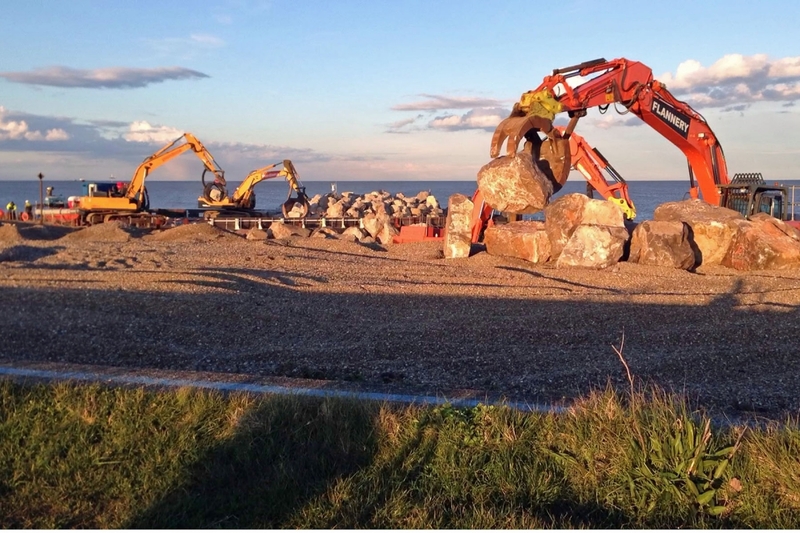 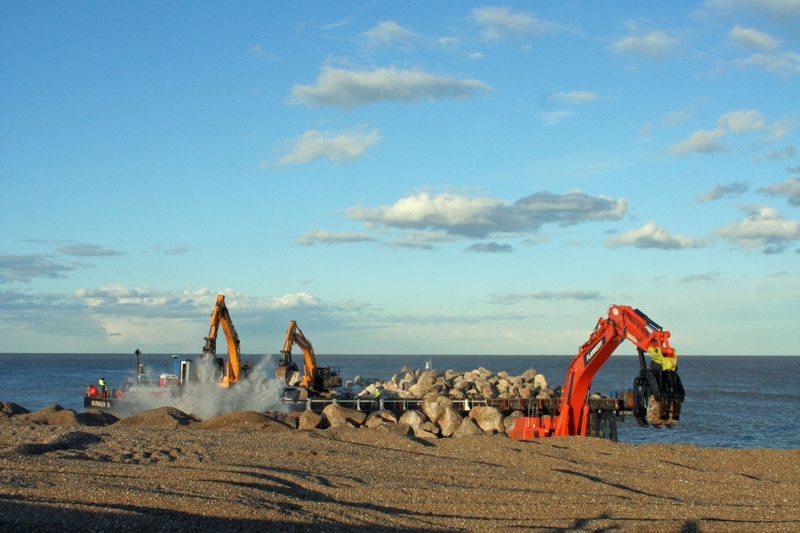 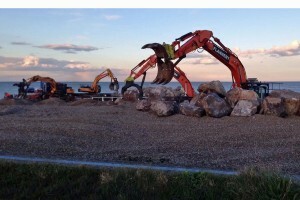 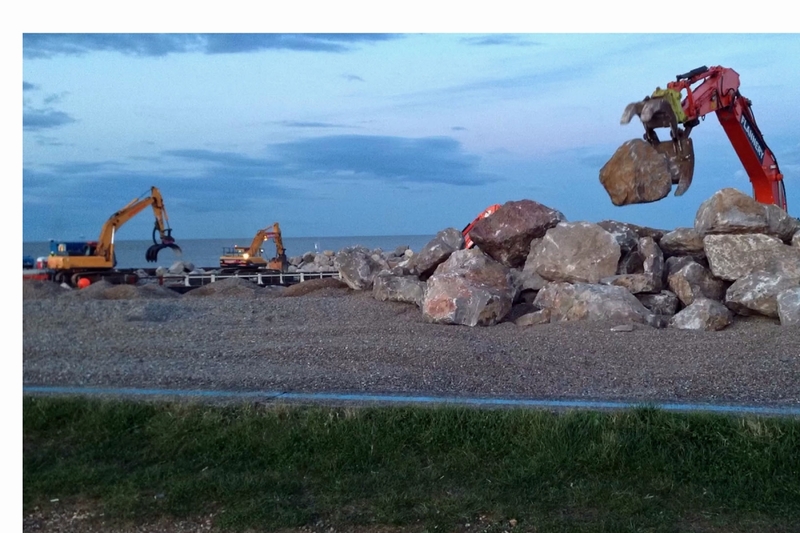 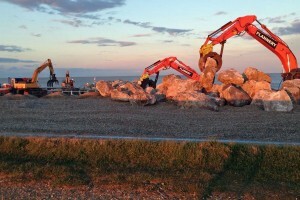 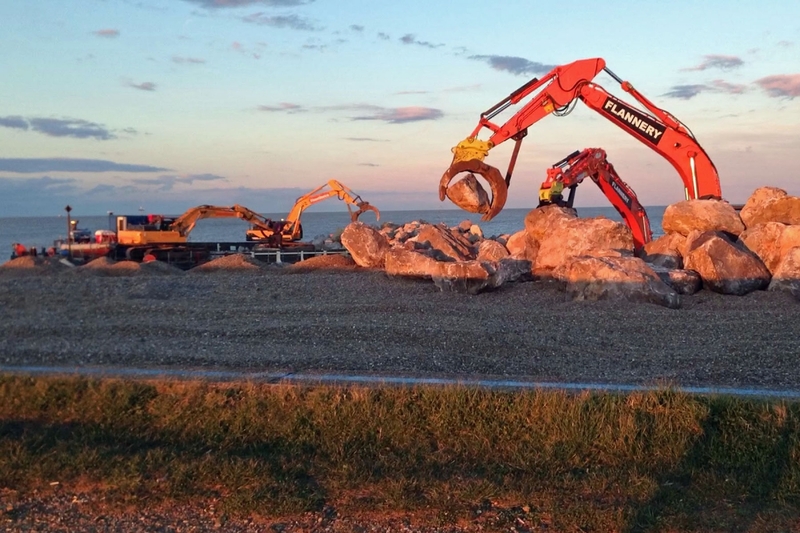 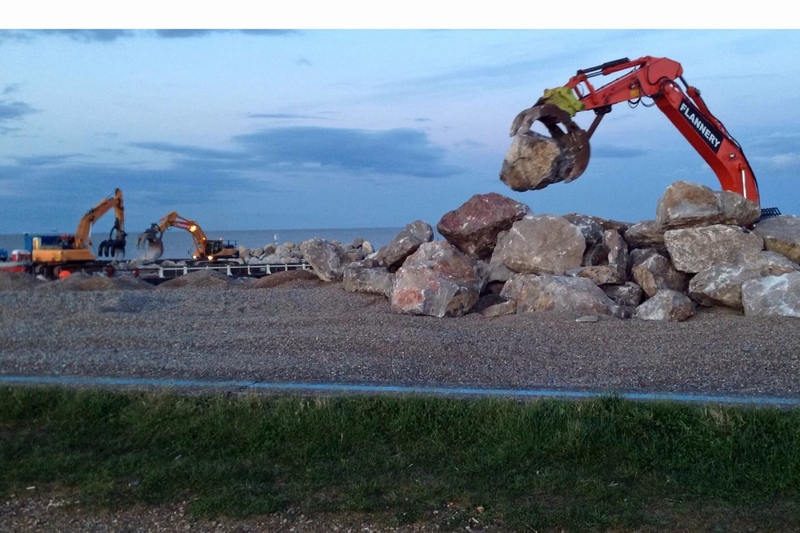 The rocks were used in the Environment Agency's project to protect the sea wall.